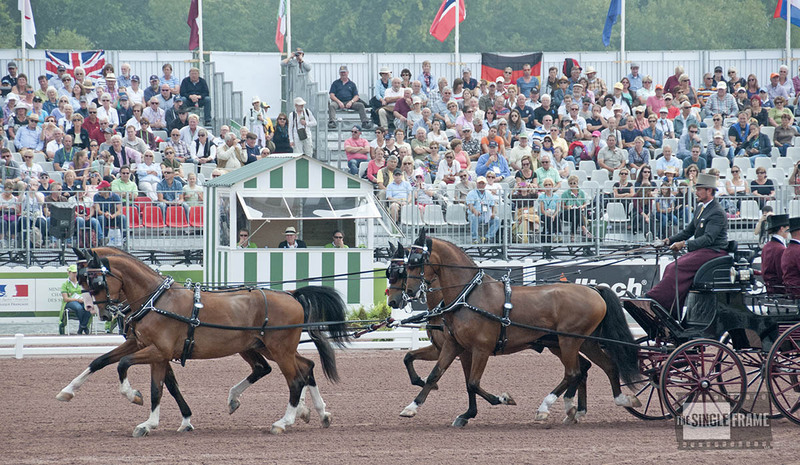 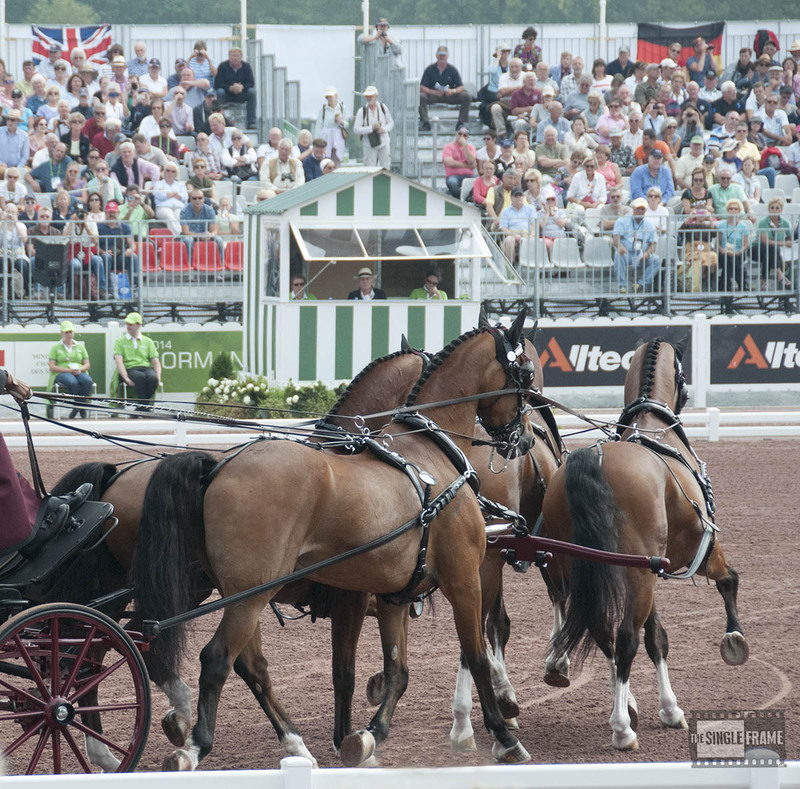 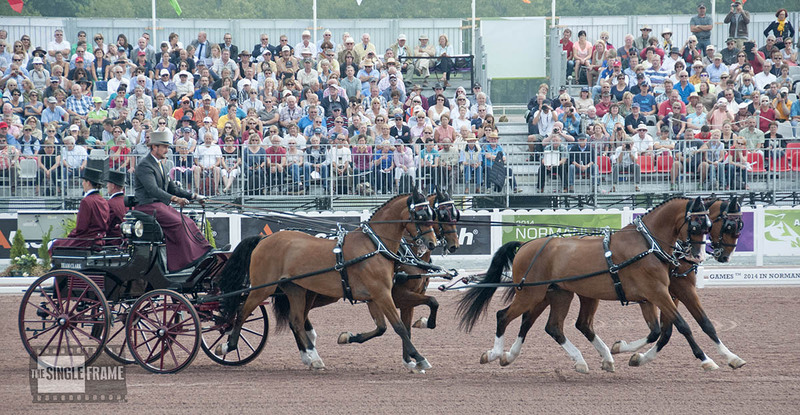 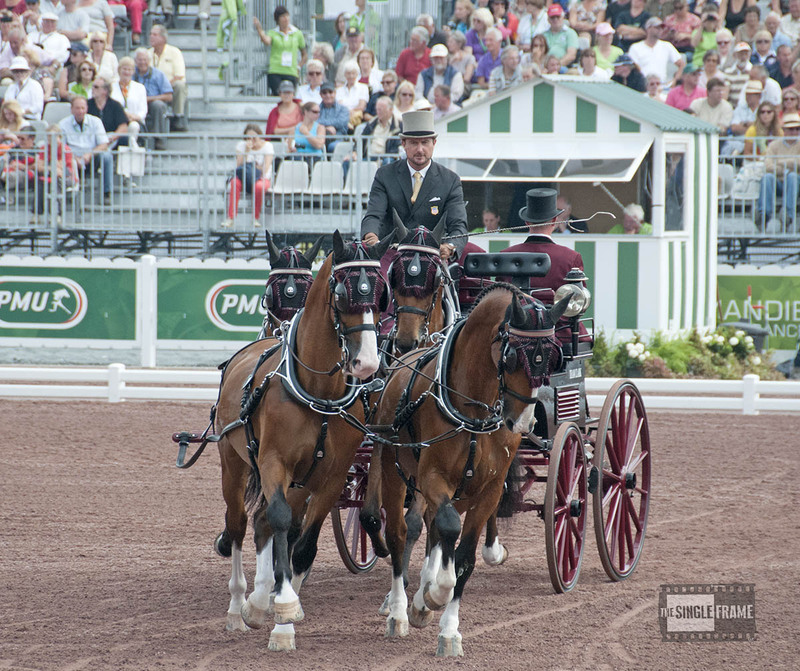 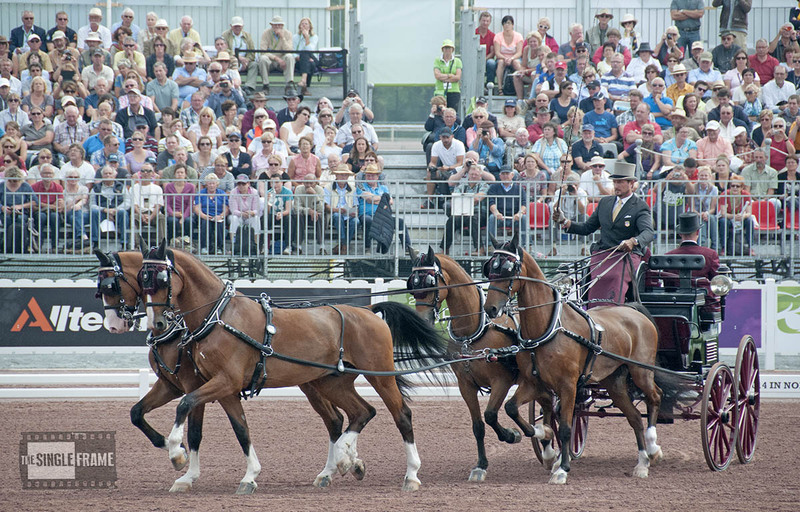 It was a brilliant afternoon for fans of U.S. driving, who were here in France at the 2014 World Equestrian Games … and for those following along at home. 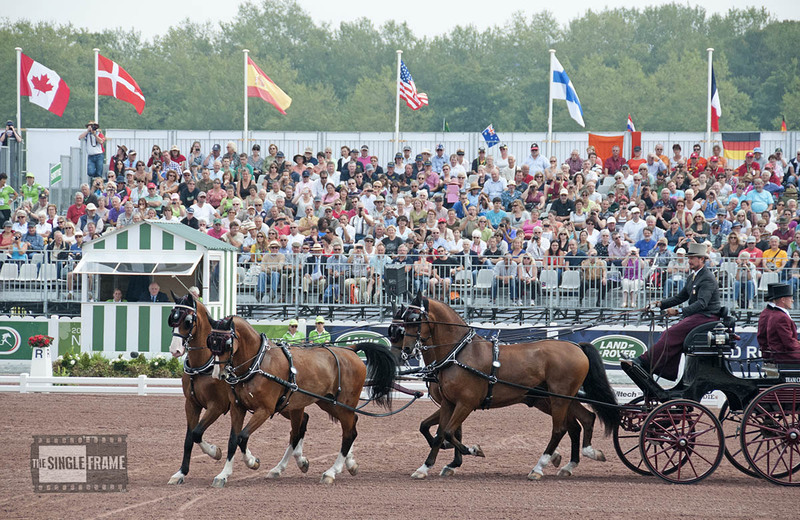 With Chester’s win in the dressage phase, the U.S. team now stands in second place behind the Dutch team. 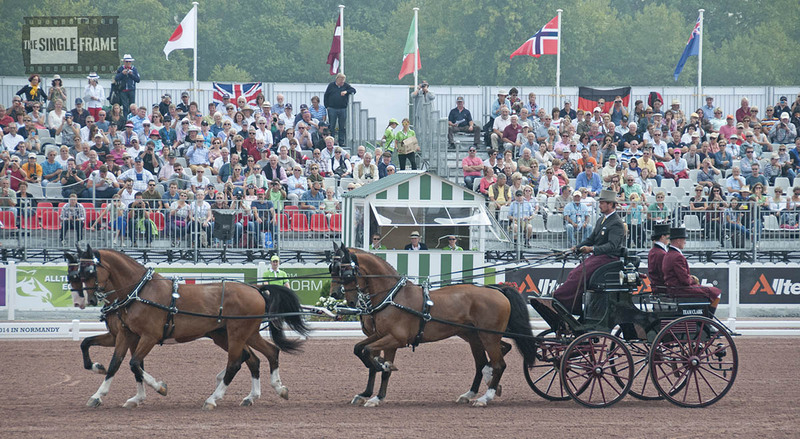 Here are several scenes from Chester’s gorgeous dressage test. 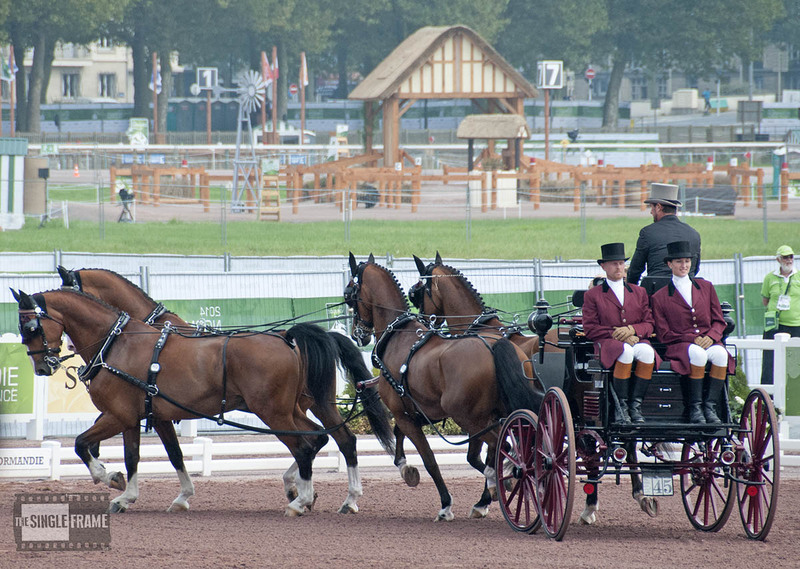 In one of these photos, you can see one of tomorrow’s marathon obstacles in the background.